The death of Saman – a highly trained diver – on Thursday underscored the danger of moving from the chamber to mouth of the cave, and raised serious doubts about the safety of bringing the boys out through the cramped, flooded passageways. 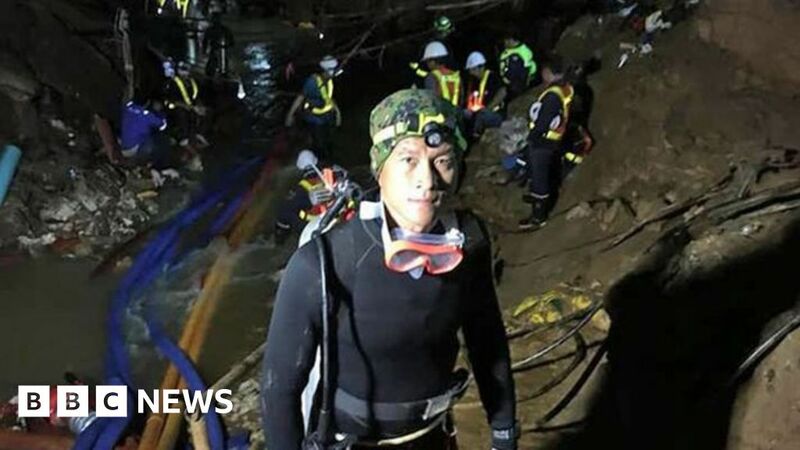 He said that Saman’s dive partner tried to revive him but could not, and his body was brought out of the cave. The search operation would go on, said Rear Adm Arpakorn. “I can guarantee that we will not panic, we will not stop our mission, we will not let the sacrifice of our friend go to waste,” he said. They say the death of Saman won’t impact on their mission. But there is a different atmosphere today in the makeshift village that’s evolved at the cave’s entrance, and the death of a former navy Seal highlights just how dangerous the route out of the cave remains.